Our many years in farming has given us the opportunity to select the best techniques to produce a premium product which we are proud to deliver. Our two farming managers have a combined experience of over 50 years in hand rearing fish — something unmatched at any other farm in Scotland. The health and welfare of our salmon is our first concern and the lens through which we view all of our practices and plans. Our farm is an entirely hands-on operation, despite the fact that hand rearing requires three times more labor than at conventional farms. Hand rearing means that we are on the water EVERY day to feed and observe the fish — not machines or cameras. This close proximity allows for close observation — and meticulous attention to animal welfare. 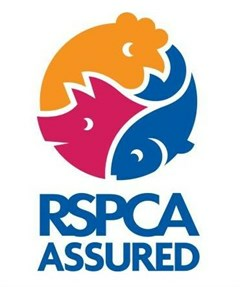 Wester Ross salmon is a certified by the RSPCA Assured (Royal Society for the Prevention of Cruelty to Animals) for our animal welfare practices, and we are an active member of the RSPCA salmon working group. Hand feeding mean little waste. Hand reared means that everything is done by hand at the farm. Salmon are fed by hand through every stage of life at Wester Ross which allows the fish to be observed daily by a real person — not a remote camera. And hand feeding allows us to respond in real time to how much the fish are eating, reducing feed waste and accumulation of feed on the sea floor. Low-impact Feed One of the world’s best “feed-conversion ratios” because we use trimmings of fish for human consumption to create a sustainable fish feed. This greatly reduces dependency on wild fish and results in a less than 1:1 FCR. No synthetic colorants are added to the feed. The nutritional supplements that keep the fish healthy and give them their color are entirely from natural sources. We make no routine use of antibiotics. In fact, our fish are so well cared for, we’ve never had to use antibiotics. Healthy Conditions Wester Ross salmon grow up at very low stocking densities (99% water, 1% fish) to ensure happy, healthy growth, in line with the RSPCA Assured. Instead of using harsh chemical anitfoulants to keep the fish pens clean, the nets are cleaned by wind, rain and dried in the sun. A swim-through system of nets allows the fish to transfer between pens in a low-stress way. Find more on how Wester Ross takes care of its surrounding ecosystem and the larger health of the oceans. Wester Ross Fisheries has been certified as a RSPCA Assured from the very beginning of the program. One of the first farms to pass the certification audit, directors Gilpin Bradley and Hugh Richards are members of the RSPCA working group for both freshwater and saltwater practices.